Animal rescue: Want to adopt a dog or cat? Prepare for an inquisition. Want to adopt a dog or cat? Prepare for an inquisition at the animal rescue. People who rescue animals can be reluctant to believe anyone deserves the furry creatures. Some rescue groups think potential owners shouldn’t have full-time jobs. Others reject families with children. Some rescuers think apartment dwelling is OK for humans but not for dogs, or object to a cat’s litter box being placed in a basement. Some say no to people who would let a dog run around the fenced backyard “unsupervised,” or allow a cat outside, ever. It used to be that people who wanted to get an abandoned or abused animal went to the local pound, saw one they liked, paid a small fee, and drove home with a new pet. Since the 1990s, however, the movement to reduce animal euthanasia and the arrival of the Internet have given rise to a new breed of rescuer. These are private groups, or even individuals, who create networks of volunteers to care for needy animals. Before this, enormous numbers of animals who went into shelters never came out. More than 40 years ago, an average of 20 million dogs and cats were euthanized annually. Humane organizations started a campaign to spay and neuter pets, especially those coming through shelters, and today fewer than four million dogs and cats are euthanized yearly—still terrible, but a vast improvement. In addition to pet sterilization, an effort also began to find accommodations for homeless animals outside the municipal and private shelter systems, which have limited room and often short deadlines for keeping animals before moving them to death row. The new organizations take potentially adoptable pets out of the shelters and foster them, usually in private homes, until the right owner comes along. They control the fate of an increasing number of animals. In New York City, for example, almost 45 percent of the dogs and cats that come into the Animal Care & Control system are passed to one of more than 150 private rescue groups. Groups like these have high standards for who gets to adopt. Applicants are sometimes subjected to an interrogation that would befit Michael Vick. After receiving this hostile treatment, several would-be pet owners told me, they got offended and gave up. Others push on, answering pages of questions (“As a dog ages, it often becomes incontinent and arthritic. How do you intend to handle your dog’s age-related problems?”), supplying personal and veterinary references, and submitting to home inspections. Even after going through that ordeal, you can be told that you are unworthy for pet ownership, for reasons often left mysterious. At this point, many frustrated animal lovers can commit an act they’d previously thought abhorrent: They buy a dog, cat, bird, or guinea pig from a pet store or breeder. I know because that’s what happened to me. A few months ago during a Dear Prudence chat, I mentioned in passing how ridiculous some rescue groups were. When my family decided to get a second rescue dog, I felt it was my job to prove to the groups we contacted that I wasn’t a vivisectionist. Fed up, we decided to buy a puppy and found a lovely breeder, and our Cavalier King Charles Spaniel, Lily, has made us all ecstatic. After I wrote this, I expected to be skinned alive by animal lovers. Instead, dozens of people posted comments about their own humiliation and rejection at the hands of these gatekeepers. My friend M., who looked into getting a family dog when her children were 6 and 9, had a similarly vexing experience. After she and her husband decided rescue was the right thing to do, they looked online and found a mutt named Rusty. Rusty’s rescue group was having an adoption day and the family made the long drive to see him. Adopters were told not to mingle with the animals, but that specific dogs would be brought to them. While Rusty was otherwise engaged, M. asked if they could look at some of the other dogs but almost all were declared not suitable for children. As the family waited, the children sat on the ground and started writing in the dirt with sticks. A volunteer came over, alarmed. He reprimanded them, saying that if a dog sees a stick in a person’s hand it will expect that stick to be thrown, and it’s not fair to frustrate a dog. In many ways, it’s never been easier to adopt a rescue dog or cat. The Internet has transformed pet-human matching in the same way online dating has changed how we find mates, and it’s now easy to size up potential pets from the comfort of your laptop. The credit for this revolution goes to Petfinder, a Web clearinghouse for adoptable pets. The site, which has helped place more than 17 million pets, went national in 1998. By the turn of the millennium around 400 rescue groups were posting their furry darlings on Petfinder. Today, almost 14,000 groups post 320,000 available animals on the site. The number of groups grows by 30 a week, says Kim Saunders, the company’s vice president of shelter outreach. “If you’re a foster-based group, Petfinder is the way you get 99 percent of your adoptions,” says Saunders. This would be unmitigated good news for the four-legged were it not for the problems of the two-legged. Let’s posit that many people who are drawn to humane work don’t have a particularly positive view of humanity. This natural aversion is exacerbated by years of helping abandoned, abused, and neglected animals, which means seeing the worst people do to innocent creatures. Unfortunately, a subset of these people who dislike people have become like admissions officers at selective colleges, rejecting applicants who don’t fit an ideal template. Ari Schwartz, a business development manager from Tarrytown, N.Y., and his wife, Lisa, a medical student, ran up against these Jeopardy-like quizzes when they went looking for a shelter dog. After filling out a multi-page online application from a local group, they got a follow-up phone call from a representative who noted they hadn’t given the name of their veterinarian. That was because the couple didn’t have a dog, Lisa replied. In Joseph Heller-esque fashion, the rep said that in order to adopt, a referral from a veterinarian was necessary. The representative went on to note the group preferred that one owner be home full-time. They also didn’t like to give dogs to people who lived in apartments, like the Schwartzes. The couple was told to get a cat. “My wife is deadly allergic to cats,” Ari notes. So—surprise!—they decided to go to a breeder. They now have a Shiba Inu named Tofu. “We absolutely love him,” Ari says. Many adoption agreements also have a provision mandating that if things don’t work out with the pet, you must return it to the group rather than find it another home. Let’s call this the Ellen DeGeneres clause. 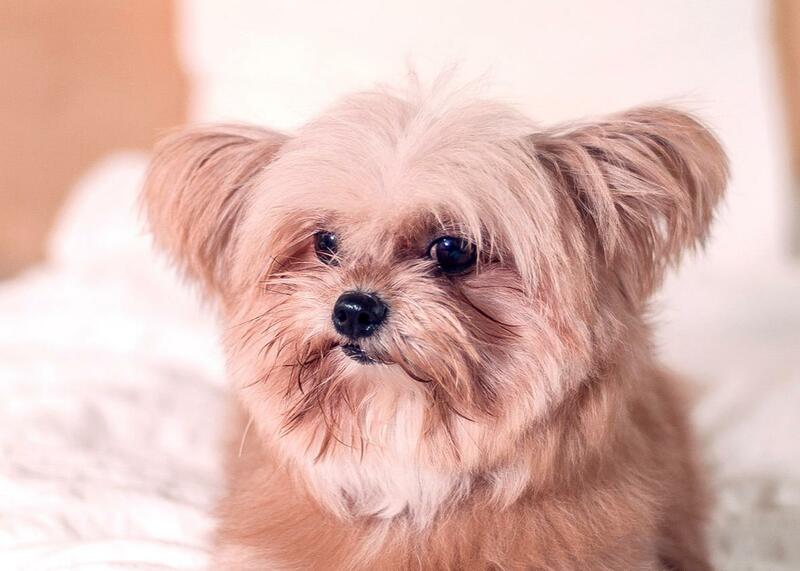 The comedian adopted a Brussels Griffon named Iggy that just couldn’t get along with her cats. DeGeneres gave it to her hairdresser, who has two daughters, then aged 11 and 12, and Iggy basked in the love fest. Then someone from the group called to check in with DeGeneres on how Iggy was doing. She told them about the new arrangement. Not only was DeGeneres in breach of contract, the group didn’t want Iggy living with any children under age 14. They confiscated the dog. Being an animal rescuer can be a potent source of identity, combining salvation and self-sacrifice. But in recent years the ASPCA has seen that, for some people, this identity crosses over into pathology. Dr. Randall Lockwood, a senior vice president of the ASPCA, says that around 25 percent of the 6,000 animal hoarding cases reported in the United States each year involve purported rescuers, up from less than five percent 20 years ago. It turns out no species is immune from ministrations of fanatical humans. Jen P. wrote that she filled out a lengthy application for a lovebird and was given approval, but at the last minute the woman who ran the shelter said she couldn’t part with the bird. “Last I heard, she had dozens of rescued birds in her home, and was refusing to adopt out any of them,” Jen P. wrote.